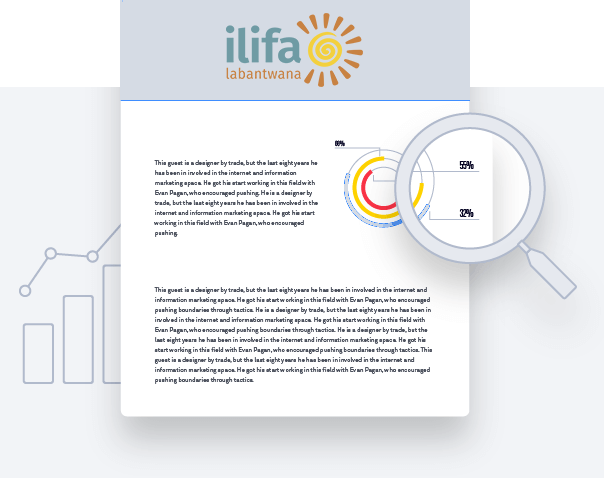 Following the signing of a Memorandum of Understanding with the KZN provincial government in 2013, Ilifa set out to develop systemic support for inclusive early education by working closely with the Department of Social Development and four non-governmental organisations. The resultant programme centred on transforming existing ECD centres into ‘inclusive hubs’, which would model good practice and support other centres in providing inclusive ECD. This article discusses the basics of the hub model, as well as its potential for systemic change. Written by Sue Philpott, Disability Action Research Team, and Bertha Magoge, TREE. Published by Ilifa in 2015.